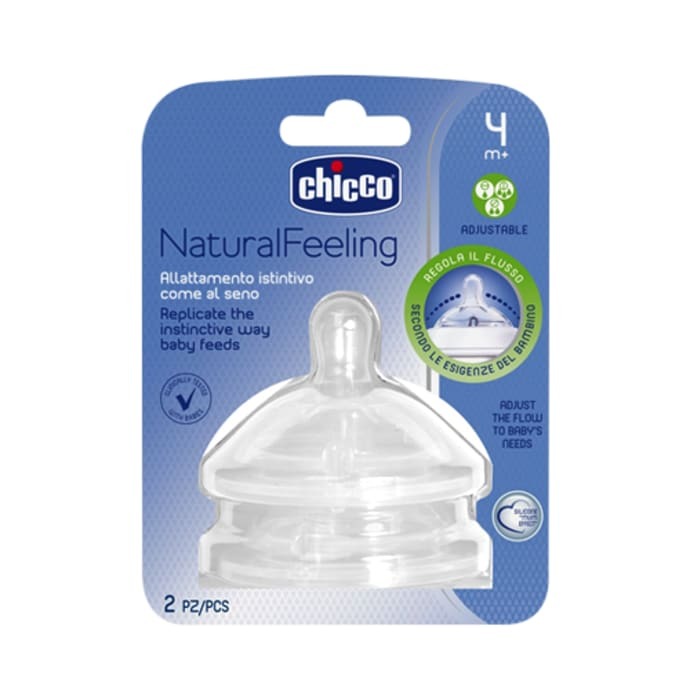 Chicco 2 Teat Natural Feeling 4M+ F Adjustable gives the child comfortable feeling during feeding. Its advance anti-colic valve prevents the ingestion of air, reducing the risk of colic after feeding. Wide rounded base helps in sucking. Silicone Mum effect, exclusive velvet finishing makes teat extra soft and pleasant. Teats are compatible with all Well-Being bottles.